We’re about a month in to our brew tour here at Revenue River and we’ve already reviewed some awesome breweries in this great state including Great Divide, New Belgium and TRiNiTY in Colorado Springs. For the new readers out there, here's what we're doing: We’re taking a look at some of our favorite brewers around the state and showing you just how many of their unique marketing ploys fall under inbound marketing techniques. While each brewery we look at is different when it comes to the beer they brew along with the image they portray, we’ve begun to notice some very interesting marketing trends among our Colorado micro and craft breweries! These feisty brewmeisters know that in order to get their names out there against the beer giants of the world they need to be smarter, more creative and most important of all, cost-effective when it comes to their marketing strategies. So what do you get when you mix all of these factors together? Some awesome marketing techniques, that’s what! While Colorado micro and craft brewing is a rather large community in its own right, the more successful individual breweries are those who have been able to create a cult-like following through their great beers and marketing efforts, and this week’s is no exception! One of the newer breweries in town, Renegade has quickly gained a reputation as the best brewery tap room in the capital. Don’t believe me? Go ahead and ask the local publication, Westword! 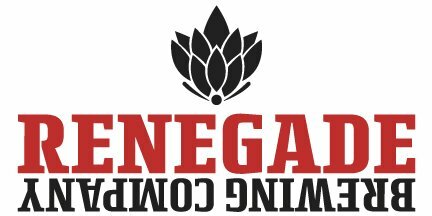 With a brand spankin’ new website that’s easier to navigate and extremely aesthetically pleasing, Renegade is doing everything right in the world of micro brewery marketing! Not only does the website look awesome, but it also has tons of new functions that will help out the brewery immensely going forward! Beyond their online presence, they’ve created a brand unlike any other around town that has really connected with their target audience and caught the eye of the local media, garnering plenty of awards and attention in the past few years. Not only have they won the hearts of the media and beer lovers alike, but they’re making sure that the publicity they’re getting fuels their marketing efforts! 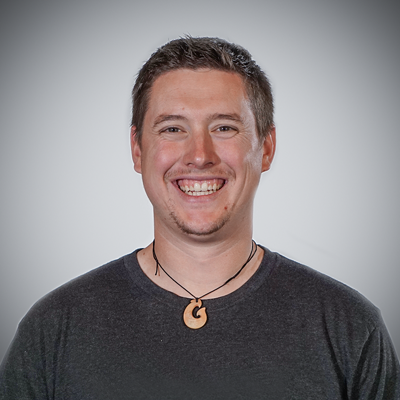 Overall, these guys are doing an amazing job of getting their brand out there for such a young company, and the best part is that some of their techniques fall under Denver inbound marketing best practices! They Make their website work for them- One of the first things you do when kicking off an inbound marketing campaign is create a website that works for you. What I mean by this is that you not only create a website that fulfills all the main functions it should be doing (in the case of Renegade that would be a link for your different beers, a link for your company’s story and maybe a link about how you can be contacted/found). With inbound marketing, we look to create a website that does more for you than just inform your visitors. Renegade did a great job with their Denver web development; they not only leveraged their social media presence by putting social media icons on the left side of all of their pages, but also by created a blog tab to inform and educate their consumers along with including an “employment opportunities” tab to find well qualified members for their team. Renegade obviously understands that a great website is a major key to the success of a business, and theirs is spot on! They've created a unique brand- With so many different breweries in the state, let alone Denver, you need a strong brand identity to really stand out. Renegade has only been brewing for about 2 years now, and already they’ve created a brand that has made waves across Denver! So how have they done that? Well first off, their brand values are extremely unique. They’re all about beer and the surrounding community, nothing else. They’ll be the first to tell you that they don’t have TVs in their tap room, but instead board games. They don’t cook meals in-house, they bring in different food trucks that serve up unique cuisines daily. They don’t make good beer, they brew offensively delicious beers! All of these ideas go against the norm when it comes to what people think about Denver breweries. They’re something new; something refreshing and that’s why Denver loves them! Any marketing campaign, whether it’s inbound or otherwise, would love to deal with a brand as strong as Renegade! Heck, the brand is doing so well that they’re opening up another location right next to the University of Denver! They Utilize PR- Although PR really isn’t a part of marketing, but a result of good business practices, Renegade has been sure to circulate their achievements through both their social media sites and their website. What’s the point of winning these awards if you’re not sharing them, right? That must be what these guys are thinking, because one of the first things you’ll see when visiting their website is a link to their award for 2013 Best Brewery Tap Room. Sharing these links to awards not only shows how well received you are in your community but also gives your business credibility, no matter if you’re a Denver marketing company or a microbrewery! I may be a little biased with this brewery since it is my local tap room (and since I may or may not be a connect four champion there) but when you look at all the different things these guys are doing to get their brand out there, I’m sure you’ll realize just how special this brewery really is! Be sure to check out their Twitter and Facebook pages and if you’re ever in Denver, stop in for a pint! You’ll immediately see what makes their brand so special!